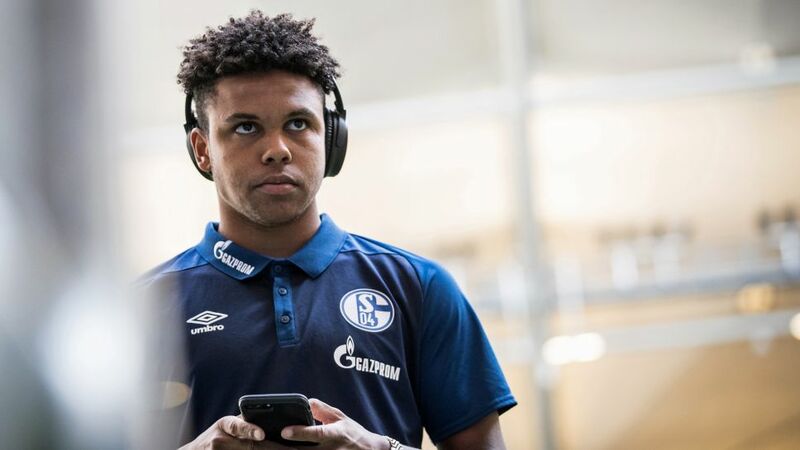 Schalke's latest wonderkid Weston McKennie likes nothing more than to be out on the field with a ball at his feet, but when the lights go out, he prefers Fortnite to football as a pastime – until the next whistle sounds. The USMNT midfielder spoke to The Athletic about his time in Gelsenkirchen and it soon emerged that when there is no football to be played, he is at a loose end. "There are players that say 'I need football 24/7. If I'm not playing it, I'm watching it. If I'm not watching it, I'm sleeping with a ball'," he said. "As a kid, I was probably like that. I never really watched it, still, but as you get older and [it's] becoming an everyday thing for you, it's also good to have your time to switch off and clear your head because if you're constantly thinking about it, you're going to feel a little bit more pressured than you should. "I'm one of those guys who likes to play sports rather than watch them." That can be considered a quality with McKennie much more comfortable proving his own ability than drooling over others. He already knows how high the bar lies, and that only hard work and discipline will help him attain the desired level. McKennie was a regular for the Royal Blues in his debut season in Gelsenkirchen, lending a major hand in their finishing second in the Bundesliga and qualifying for the UEFA Champions League for the first time in four years. In the club's quest to go even further in 2018/19, and try to knock Bayern Munich off their perch at the top of German football, Sebastian Rudy was signed from the record champions this summer. A player who operates in a similar role to McKennie in the midfield could have been considered a threat, but not when you are a player with the 20-year-old's confidence and ambition, combined with his aforementioned dedication to proving himself rather than obsessing over others. The arrival of a player of Rudy's calibre can only help the USMNT midfielder's overall development. That, he humbly says, is all it comes down to. "I think I made a good impression with the national team games that I have played," McKennie said. "Hopefully I got me a good position in the starting XI. If not, then one of my goals is just to be in the starting XI consistently. And one of my long term goals is eventually to try to be one of the biggest leaders on the team." Somebody like another USMNT star on the other side of the Ruhr divide, Borussia Dortmund's Christian Pulisic. "But he's definitely a dedicated player. I've known him since I was like 13 or 14 years old. So we've kind of grown up in the system together. Different paths, obviously. He was always a star ever since he was a young kid. I was always the one shoved off to the side; had to find my way to come back in here." McKennie found his way in, though, and can start to think realistically ahead to the 2026 FIFA World Cup, which will be held in the USA, Canada and Mexico. He will be 27 then – an age considered by many to be a footballer's prime. There is plenty to come before that, though, and the level-headed McKennie knows there is a path to follow. "It's going to be home territory for us, but a lot of people already have their head set on 2026, and some of them forget that we still have 2022 coming around," he said. "So my head isn't really focused on 2026. I’m more of a present person. I'm more 'What's happening now?' I might not even be playing soccer anymore. Anything can turn. I just try and enjoy what's happening now and, of course, I can maybe look forward to next week – hopefully." That is when the USA face Mexico in an international friendly. "To play against Mexico, on 9/11, in Nashville, Tennessee, which you think is like one of the most patriotic states in the USA – it''ll be an experience I don’t think I'll ever forget," he said. It will be an experience McKennie hopes to soak up from the centre of the park, because that is the only place he lives and breathes football.